Patch 7.2.5 has already seen a lot of class tuning as Blizzard rushes to get the game ready for Tomb of Sargeras. And with the Tomb’s gates opening tomorrow, Blizzard is going down to the wire to get things just right before launch. A new set of hotfixes will go live with this week’s maintenance, including more tuning as well as some bug fixes. The class tuning is almost identical to the tuning changes Blizzard announced last week, but today’s hotfix notes add a number of bug fixes, too. Everything will be live when the realms come back up at 11AM PT (or sooner, if Blizzard’s recent speedy maintenances are any indication). 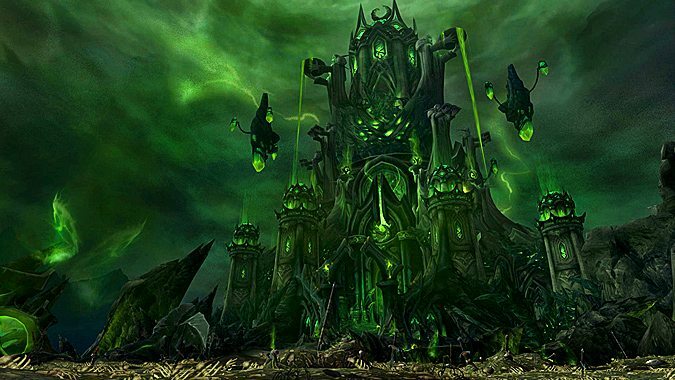 We’ll see if Blizzard is happy with the results as players head into the Tomb of Sargeras — and whether classes or encounters will need more tuning before the more challenging Mythic mode opens next week. But while we wait on the next round of hotfixes, check the notes on the latest below. Fixed an issue in which the quest to complete the Deaths of Chromie scenario didn’t always give credit. Heroic Leap, Infernal Strike, and Metamorphosis will no longer sometimes consume their cooldown without moving. Spirit Bomb damage reduced by 33%. Hunters should no longer see Ban-Lu, Grandmaster’s companion when tracking beasts. Stagger now has 40% effectiveness against Magic damage (was 50%). The global cooldown from Refreshing Jade Wind is correctly reduced by haste. Evangelism now has a duration of 6 seconds (was 7 seconds). Smoldering Heart proc chance is now 10% per 100 Maelstrom spent (was 20%). Trauma can no longer Critically Strike. Insignia of Ravenholdt should now work correctly with Toxic Blade. Darkmoon Deck: Promises now provides mana reduction that scales like a secondary stat. Darkmoon Deck: Immortality now provides armor that scales like a secondary stat. Developers’ notes: The power of these trinkets at item level 900 is identical to their previous scaling value, and will be stronger than before at lower item levels. T.N.T. (Honor Talent) will correctly only apply Concussive Shot to targets hit by Bursting Shot. Demonic Gateway’s debuff will now show the correct duration remaining when the Warlock has Gateway Mastery. Technique: Glyph of Angels is again obtainable from Mists of Pandaria creatures. Fixed a bug where “In the Blink of an Eye” was not granted to players upon completion of “Illidari Allies” or equivalent.